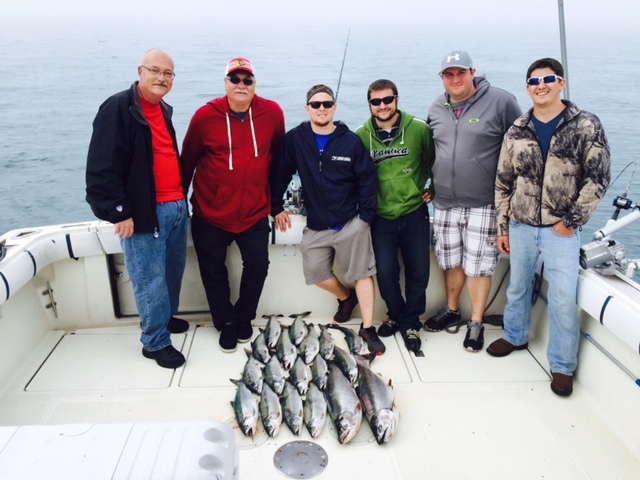 Why Fish with B & C Charters on The Breezy 1 ?? With a large Super Clean Private Restroom. Proven tournament WINNER Three years in a row!!!! 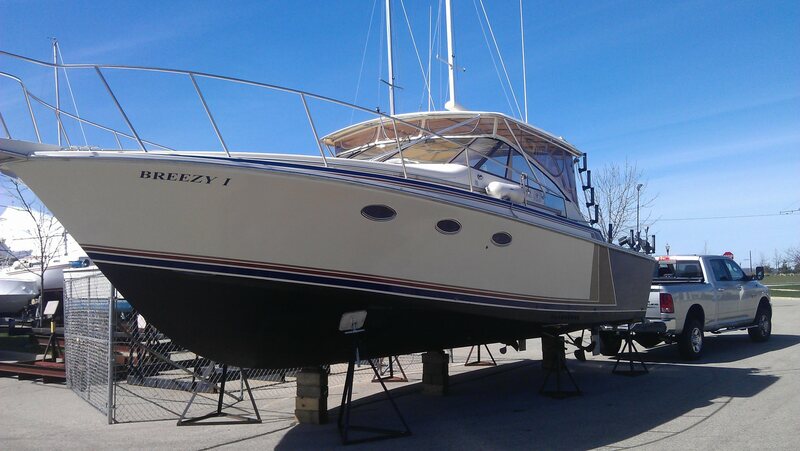 What is the best time to fish the Big Pond on board The Breezy 1?? LIMITS of COHOs!! You can expect almost all our spring trips to be limit catches. This is the time of year that is highly recommended if you want super fast action. Many times we have three or more fish on at once. 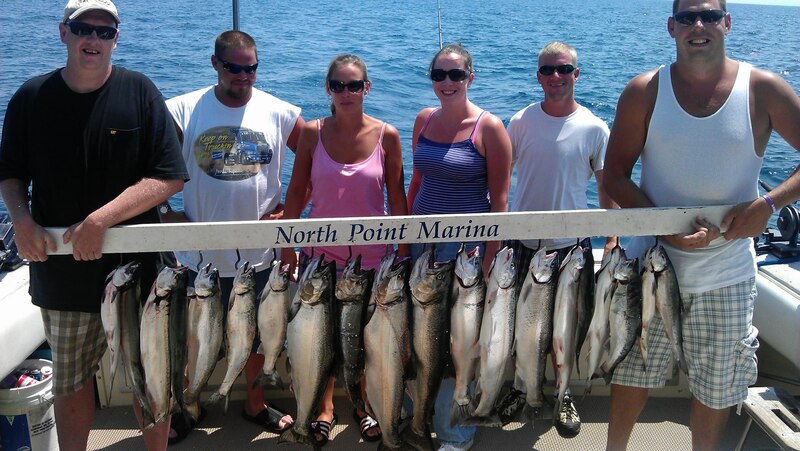 April and May are popular months, especially for the younger fishermen in the family, because there is constant fishing action. 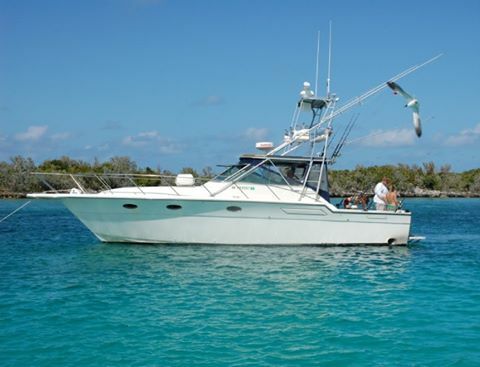 If you have not yet experienced this fantastic, fast-paced fishing, this is the year to do it. Call early!! Spring dates book up very quickly. The Big FISH are in!! This is the best time of the year for the biggest and heaviest catches. The Big Kings start to show up around the middle of July. The fishing is not as fast as in the spring, but often all five species of fish are caught on a single trip. Fish range between 8 and 35 pounds!! 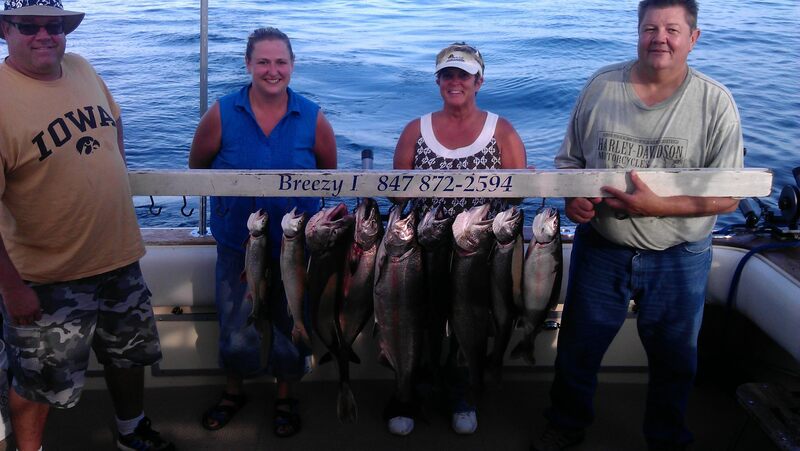 We again had fantastic Big King Salmon, Rainbow Trout and Lake trout action in 2013. These fish are generally found in deeper water than we normally fish, sometimes 15 miles offshore. The weather is generally warm and the lake calm. Longer trips are highly recommended such as 8 hours. You will catch BIG FISH!!!! Fall fishing continues to focus on BIG FISH. 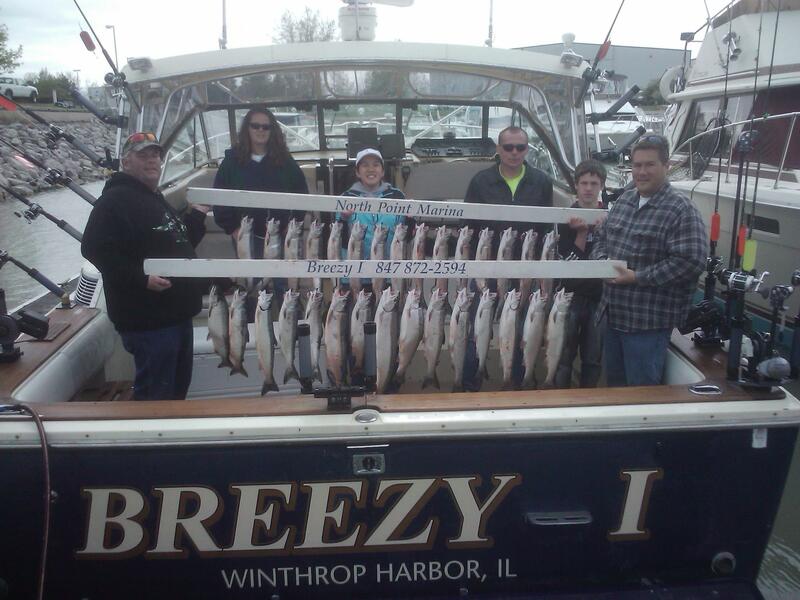 Huge Lake Trout begin to school up on the reefs, plus browns, rainbows and medium kings move in from the deeper water. This is your chance to stock the freezer for winter! Select your dates early and call now for a reservation!!!!! !